The American Wild Horse Campaign on Thursday harshly criticized Interior Sec. Ryan Zinke's appointment of Brian Steed, the former chief of staff for U.S. Rep. Chris Stewart (R-UT), as the acting director of the Bureau of Land Management (BLM) as dangerous and out of step with the wishes of the vast majority of Americans. 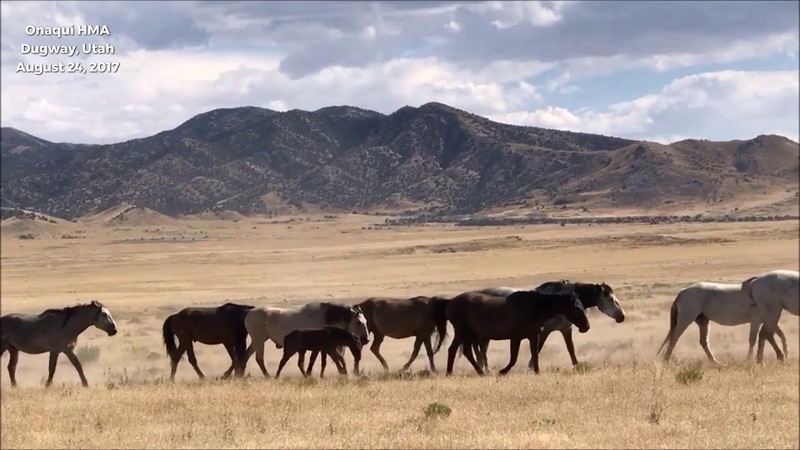 "Rep. Stewart is leading the charge to slaughter America's wild horses and burros over the opposition of 80 percent of Americans," said Suzanne Roy, AWHC Executive Director. "Putting his deputy at the helm of the agency charged with protecting these national icons is like putting the wolf in charge of the chicken coop." "Americans don't want the government to be in the horse slaughter business, and Interior Secretary Zinke should appoint someone to lead the Bureau of Land Management who is committed to protecting, not destroying, America's historic mustangs," Roy concluded. Roy added that the long-term leadership for this agency, which manages 245 million acres of public land in the West, should be determined through a full and transparent confirmation process, not a late-in-the-day political appointment by the secretary. In July, the U.S. House of Representatives issued what AWHC called a "death warrant" when it passed the "Stewart Amendment" to a 2018 spending bill that would allow for the destruction of wild horses and burros the BLM considers to be surplus. The Senate has yet to weigh in on the subject, but if it concurs, the amendment could lead to the killing of more than 90,000 wild horses on the range and in holding facilities. Livestock industry groups like the National Cattleman's Association are lobbying for the killing and slaughter of wild horses and burros on public lands even though 80 percent of BLM land grazed by livestock has no wild horses present on it. AWHC is calling on Congress to reject the Stewart amendment in favor of appropriations language that would require the BLM to use non-lethal birth control to manage America's wild herds, as recommended by the National Academy of Sciences. The Senate is expected to release its 2018 Interior Appropriations bill later this month.